I love this!! 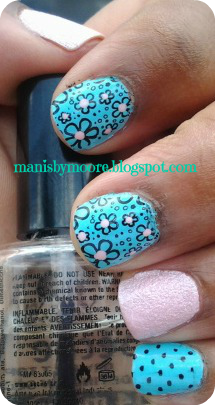 This is one of those manis that I did not want to take off. This was so pretty!! I am going to do this color combo again! I am still kind of thrown off by the name of the name of the OPI liquid sand. It is so vulgar to me. Just kind of grosses me out a bit but the color is beautiful. If you look close you can see some hot pink glitter in the pink polish. So pretty!! What are some colors that you love to see together?? Have you tried the liquid sand polishes?? Thanks for stopping by! Thank you so much!! I really loved wearing this! !